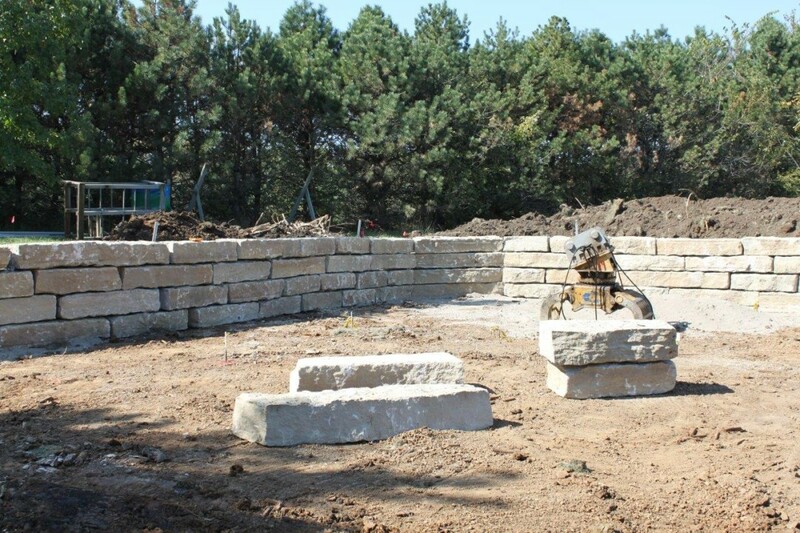 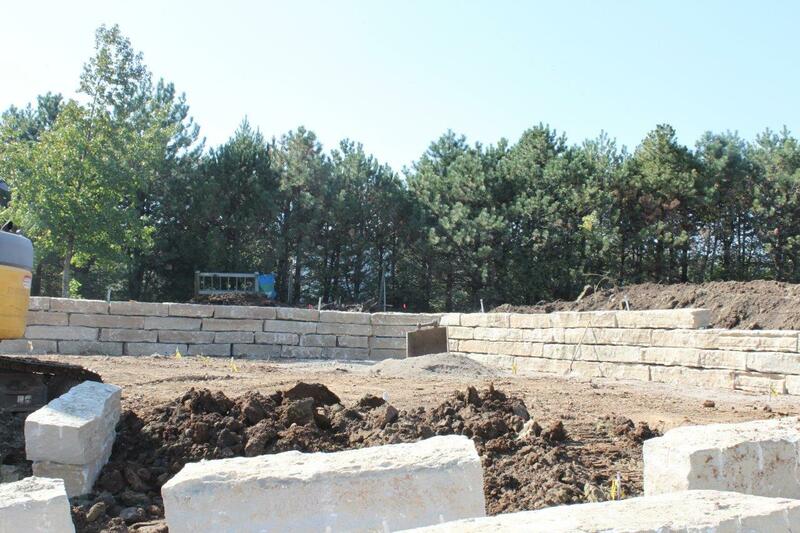 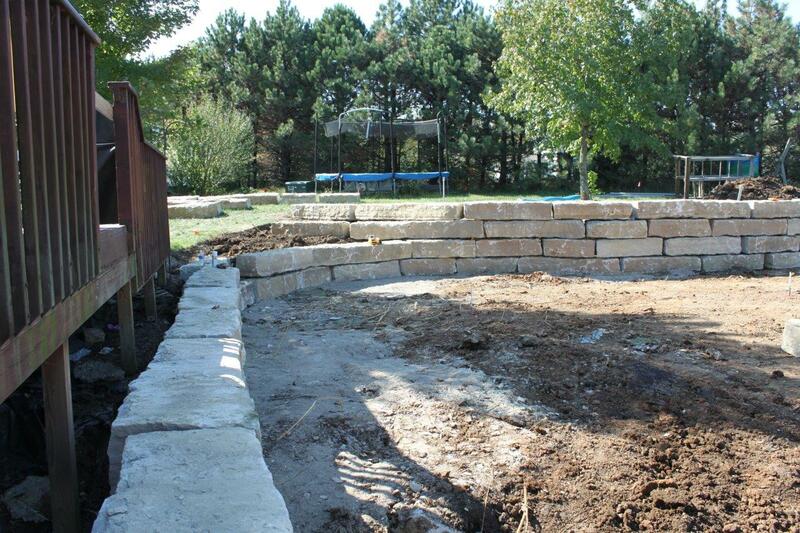 The limestone wall shown in the pictures below was built as a retaining wall for a pool, gazebo, and outdoor gathering area. 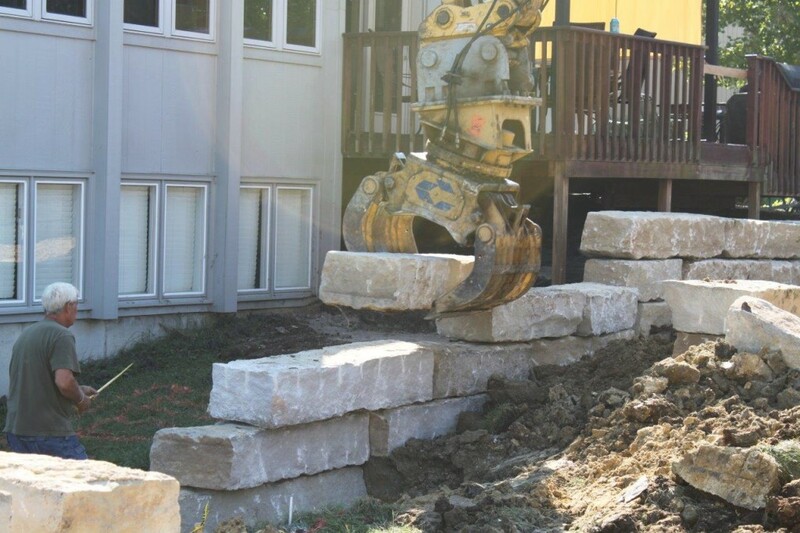 The natural limestone was removed from the ground just west of Topeka, and was cut to make the pieces shown. 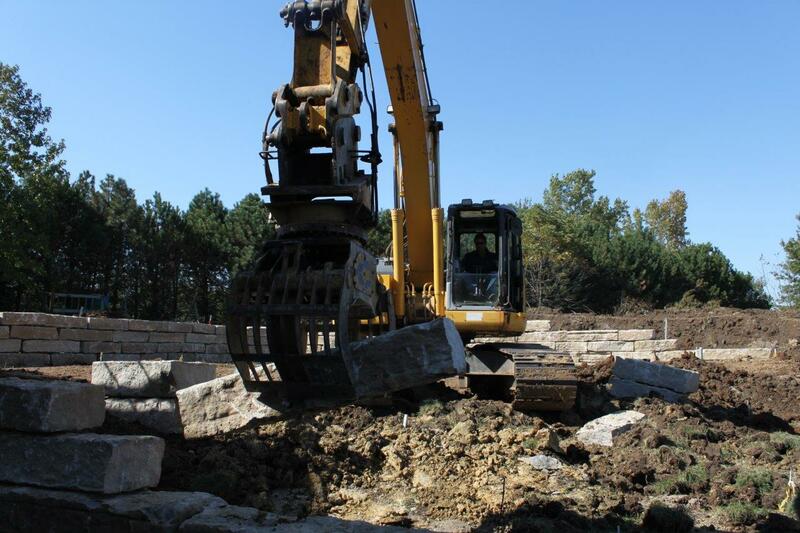 The stone was installed using a grapple attachment on a Komatsu excavator.